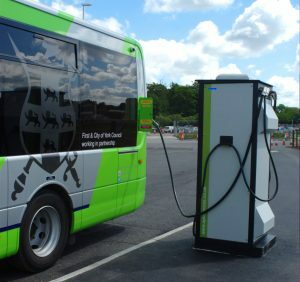 The Poppleton Bar Park & Ride service is the UK’s first all-electric Park & Ride route. Brand new, locally-manufactured Optare buses offer a smooth, quiet, zero-emission ride into the city centre. As part of the new P&R contract, starting in early 2018, CYC has secured electric buses for three of the six P&R routes, with brand new Euro 6 diesel buses completing the fleet. York has also retrofitted the world’s first electric double-decker sightseeing bus. Transdev is currently working in partnership with City of York Council to convert a further five existing diesel vehicles to full electric drive.